Discussion in 'Anything Goes' started by MerlinEmrys, Jun 22, 2018. Slowly adding y’all! And thanks Merlin, I got an egg! Here’s mine. Not sure what I have here in the northeast that others might be missing but definitely glad to provide anything that helps. Will work on adding everyone and start passing around some gifts. I'm level 27 and still teamless. I call myself Team Switzerland! Though now I have unskippable special tasks that require me to battle, which means I have to pick a team, so I guess my special tasking days are over for now. ETA: WHOOP WHOOP WHOOP, FRIEND CODE ACTIVATED! So my husband is curious as to why you have not chosen a team? I am wondering too, because doesn't that make the game harder for you? 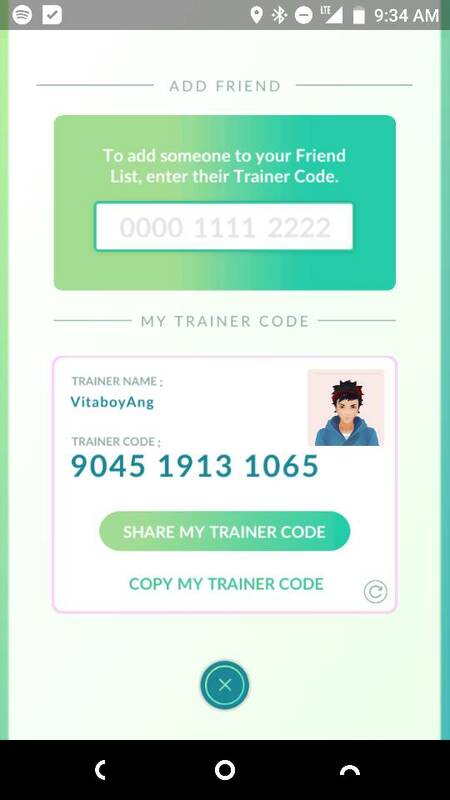 So, want to add my mom? I’ll show her how to do the gifts thing soon and she’ll probably be good for sending gifts. Also, anyone else feel funny sending gifts with the postcard that says “greetings from _______ Church”? I like to play the game casually to catch Pokémon and fill my dex. I never much cared for the battling aspect of Pokémon. And I like the potential of still being able to choose any team more than the actual selection of said team. I figure it'll take me a while before I'm able to share my friend code and trade/gift Pokemon, but no rush, right? But the more important/pressing question (I recognize that it's silly, but I'll feel better asking before I sign up): am I better off creating my player using Facebook or Pokemon Trainer Club? I have an iPhone so I figure I can't use Google. I'm asking because I'm hesitant with the (shall we say?) data sharing controversies from Facebook but I'm also concerned because I've heard of people getting shut out of the PTC because of technical problems (have they been resolved?) So basically, which one of the two is least problematic, do you think? Thanks so much for your advice. Soon, I hope, because I don't already have enough to do, I'm now going to be chasing and catching these things ... . I'm trying to play Go like the original games I grew up with you didn't have a team. It was just you and your Pokémon exploring together. There were issues with PTC when the game first came out, but those were resolved fairly quickly. You shouldn’t have a problem now. I use PTC without issue. Thanks; I was able to create my account with the PTC with fairly few issues. I kind of messed up when it came to creating my in-game nickname, but whatever ... I don't think that's terribly important, is it? chubs191, timeerkat, AvatarAng1 and 1 other person like this. Nope, your username affects nothing in the game except acting as an identifier to other users. Have fun filling up your dex! Pengy On a mission to visit every Disney park worldwide. Oh man I need this, I have no friends ! Thanks; I've got a few trips coming down the pipeline so I'm looking forward to seeing what I can catch (and ultimately share with all of you). Now I must remind myself that the primary objective of these trips is NOT to catch Pokemon. lol In all seriousness, not that I think it'll be that big of a deal; I believe this requires an internet connection and wi-fi is so expensive (plus drains the phone battery), so that will limit me somewhat ... .
Eek! Thanks, Merlin! 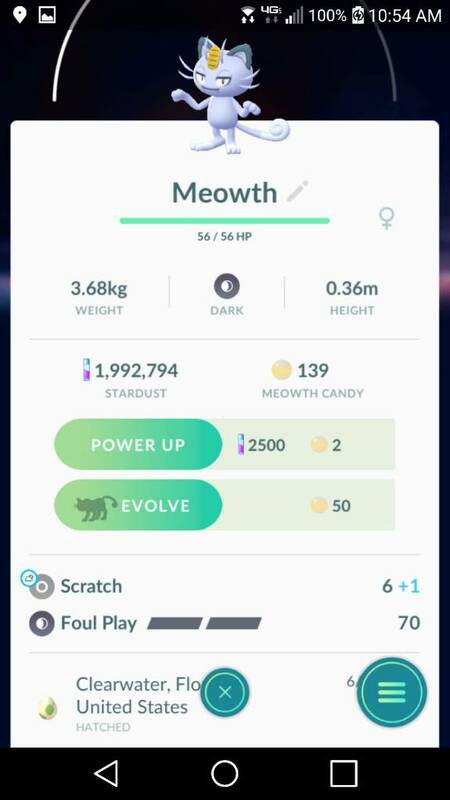 I finally hatched her! She's so pretty and she's a cat!!! Good luck with that! I can barely get my husband to look up out of his phone when we're at Disneyland (at DISNEYLAND!!!) long enough to see what's going on around us. And then he's always off to battle some gym to try to get a legendary. I'm not that bad, but I did suggest we go out to dinner at one of the Mexican restaurants the other night so we could keep hitting the Pokestop so we could get gifts to send out. And there's the issue that I have it on here at work so my character can walk the eggs while I work. Oh, geez. I'm more addicted than I thought. Who is from Westminster, CO? You gave me my Alolan Vulpix!! krand1276 and timeerkat like this.